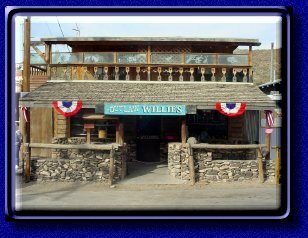 Located in Oatman, Arizona, on Historical Route 66! Open Now and Bigger and Better than ever! Planning a Wedding or Renewing Your Vows? 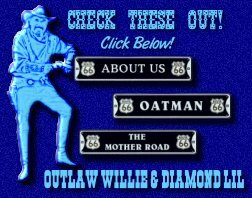 OUTLAW WILLIE™ COPYRIGHT© 2001-2018. ALL RIGHTS RESERVED.